Dove Creek Ranch is a place teeming with animals both domestic and wild - from our barnyard animals to coyotes and red tailed hawks, we enjoy the harmony of the natural world in the beautiful Tierra Blanca Canyon. Leaving the city behind, you find yourself in a wonderfully relaxing and healing oasis on the High Plains; nestled in the awe-inspiring Tierra Blanca Canyon, just south of Amarillo, TX and 20 miles west of the 2nd largest canyon in America, Palo Duro Canyon, lies a beautiful place called Dove Creek Ranch Equine Rescue. 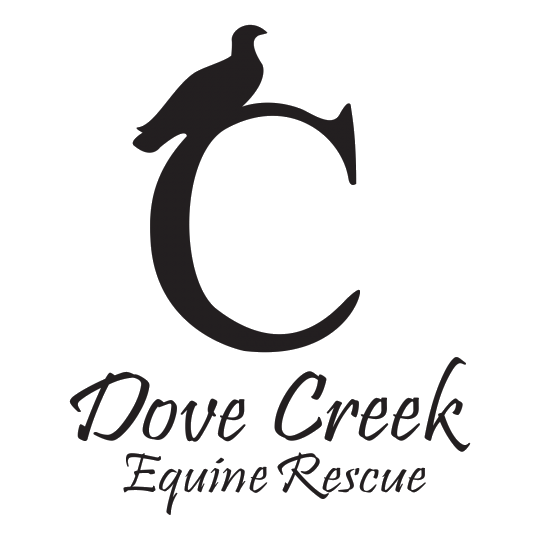 Dove Creek Ranch is family owned and operated ranch that has been treasured by the Higgins family since 1993, as well as home to Dove Creek Equine Rescue, a non-profit (501c3), . The Higgins' appreciate the beauty of our Texas Panhandle and are committed to rehabilitating, retraining and rehoming the animals while taking conscientious care of the land.